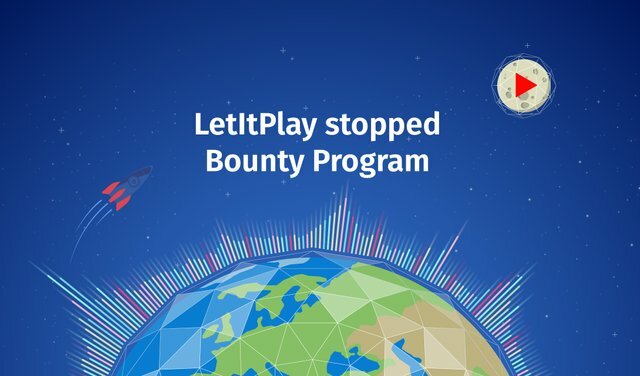 Dear LetitPlay Bounty campaign participants! As you know, our Bounty campaign finished at June the 15th. We’d like to thank you all for your activity and a quality work you made. Thanks to all who believed in audio future of the internet with us. During this week (18/06 – 24/06) our team will be counting your reports published in a bounty thread and in Google tables, reading articles, watching videos, checking reposts and translations. This work is already in progress right now, when you’re reading this. Our goal is to pay a decent amount of attention to every participant, but unfortunately this process is not as fast as it could be. That's why we ask for your patience. You can find results in a public Google sheet. Part of a Bounty campaign will be restarted in a new format. Wait for news. We will reopen registration to a popular parts you liked so much. How and when will the tokens be assessed? We will later publish an info about how you could get your PLAY tokens for bounty campaign participation. Follow the updates on our official sources and social media. Who can I contact for bounty questions? Congratulations @letitplay! You have received a personal award!